Kent, NY (December 21, 2018) – Police along with emergency medical crews and firefighters responded the scene of a serious multi-vehicle crash on Interstate 84, just east of Ludingtonville Road on Tuesday evening, December 18. The incident occurred at around 5:44 p.m. while troopers were conducting a traffic stop, according to authorities. The troopers involved were reported to have been pulled over on the side of the interstate with their emergency lights activated having stopped a 2005 Nissan sedan for a traffic violation. While troopers were exiting the patrol car, a 2006 Mercedes-Benz C280 crashed into the front of their vehicle before also striking the Nissan, causing the Mercedes to overturn onto its roof. All three occupants of the Nissan were reported to have suffered injuries as they were extricated from the vehicle. The driver, 64-year-old Luis Juanacido, as well as the front seat passenger, 38-year-old Edwin J. Villavicencio were transported to Danbury Hospital with minor injuries. 30-year-old Diago Yomeseba was in the backseat and reported to have suffered serious though non-life-threatening injuries as he was airlifted to Westchester Medical Center. The driver of the Mercedes, 24-year-old Aleksandr J. Venticinque was uninjured in the collision. Police are actively investigating the incident. Before anything else, we would like to offer our sincerest and most heartfelt sympathies to Diago Yomeseba, Edwin J. Villavicencio, and Luis Juanacido as we warmly wish for their healthy recoveries. Many times, a New York car accident can result in catastrophic injuries or death, particularly when more than two vehicles were involved. While it can be extremely difficult, it is essential for victims to know that they may have significant rights at this time. Likewise, it is important to understand that an experienced New York accident attorney can greatly help you along the often complicated path toward compensation. At Hach & Rose, we are devoted to helping the members of our community by supporting victims and their loved ones in any way we can. 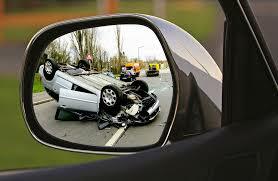 If you have suffered injuries in a New York car accident, please don’t hesitate to call 212-779-0057 today.